Spending your Christmas vacation in Myrtle Beach and along the Grand Strand offers you the chance to take in the sights and sounds of this thrilling coastal destination. From spectacular holiday shows and events to fabulous shopping opportunities, you're sure to have a unique experience when you spend the holidays at the beach. While your Christmas vacation may take you away from Grandmother's house and home-cooked Christmas dinner, there are plenty of outstanding restaurants serving Myrtle Beach visitors and residents this Christmas Eve and Christmas Day. 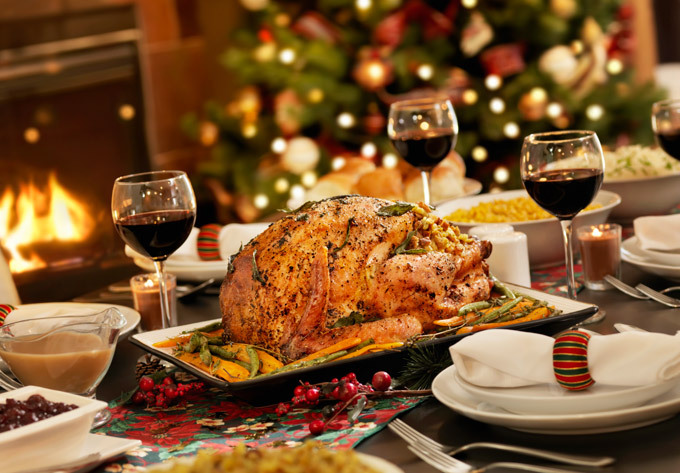 Here are our Top 5 Suggestions for Christmas Dinner in Myrtle Beach. Rioz Brazilian Steakhouse offers a feast beyond your wildest imagination every day, but on Christmas Eve, you can probably make room for a little bit more! Set in a dimly-lit dining hall, Rioz offers its patrons a sprawling salad buffet, featuring a multitude of salad options, cheese samplings, breads, and even sushi. Try not to fill up on the first course though because as soon as you let your servers (gauchos) know you're ready, they will begin the revolving delivery of tasty meat selections, including sirloin steak with garlic, beef ribs, leg of lamb, filet mignon, chicken legs, and more! Enjoy grilled cinnamon pineapple and bananas as well during this feast fit for a king! You can eat as much as you want, so pace yourself for a Christmas Eve filled to the brim with delicious food selections. Open on Christmas Eve (11am-5pm) and Christmas Day (4pm-9pm), Fiesta del Burro Loco in Myrtle Beach, offers up holiday feasts with Mexican flair. Choose from favorites like Fajitas, Chimichangas, Burritos, Tacos, and more, or try out the restaurant's Crazy Donkey Feast, featuring BBQ ribs, steak, chicken, and shrimp fajitas, rice, beans, pico de gallo, sour cream, cheese and flour tortillas. Sing Feliz Navidad to your heart's content, while you enjoy the exciting atmosphere of Burro Loco. Check back for seasonal specials and offerings! Like Burro Loco, California Dreaming will be open on both Christmas Eve (11am-5pm) and Christmas Day (1pm-9pm). In addition to the full menu, which offers up delicious selections like deluxe salads, sandwiches, pasta, and steaks, visitors can take advantage of a specialized Christmas Day menu. This special Prix Fixe menu includes Slow-cooked Prime Rib, Macaroni & Cheese, Redskin Mashed Potatoes, Green Beans with Honey-Butter Glazed Carrots, Praline-Topped Sweet Potatoes, and Homemade Au Jus. Please call for reservations, as seating may be limited. Experience Christmas west-coast style when you dine at California Dreaming in Surfside Beach. If you're interested in having somewhat of a semi-homemade Christmas dinner during your Myrtle Beach getaway, consider Get Carried Away Southern Takeout, on the South end of the Grand Strand, which offers a special Christmas carry-out menu. Choose from festive appetizers like Palmetto Cheese Wreath or Ball with Pepper Jelly or Holiday Shaped Cheese Straws. The restaurant also features side and dessert options, including Cornbread Dressing, Palmetto Cheese Grits Casserole, Mashed Potatoes, Christmas Sugar Cookies, Three-Layer Candy Bar Cakes, Mini Pound Cakes, Cinnamon Rolls, and much more! Utilize your condo's fully-equipped kitchen to make part of your Christmas dinner, and contact Get Carried Away for the rest! You will love this Southern take on Christmas dinner. Little River's Brentwood Restaurant and Wine Bistro operates out of a beautiful Victorian-era home and serves up Low Country French Cuisine. Open on Christmas Eve (4pm-9pm) and Christmas Day (1pm-7pm), The Brentwood offers a scrumptious Prix Fixe menu that includes multiple courses for one price ($39 in 2016). In past years, appetizers have included Escargot, Oysters Rockefeller, and more, while second courses have featured a variety of meat choices, including Prime Rib, Rack of Lamb, and Salmon En Croute. Dessert courses offered include Christmas Bread Pudding, Apple Tarte, and more! Call ahead to reserve your Christmas dinner at The Brentwood Restaurant and Wine Bistro in Little River. With a wide variety of dining options available to your during your holiday beach escape, you and your group will have a difficult choice to make! Whether you decide to dine-in via the convenience of your condo's fully-furnished kitchen, dine out at one of Myrtle Beach's most impressive dining establishments, or compromise and decide on take-out, your Myrtle Beach Christmas vacation will be one that is forever etched in your memory. 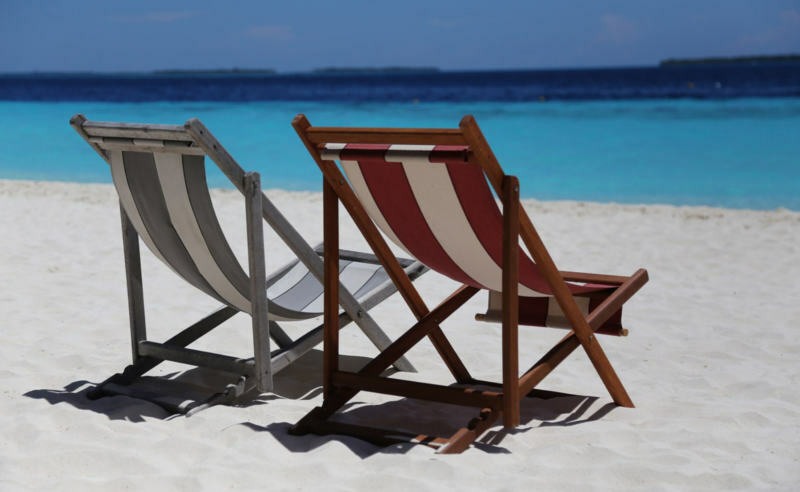 Take advantage of our seasonal specials and packages, and book your beach vacation today!